Something I really need to work on in all aspects of my life! 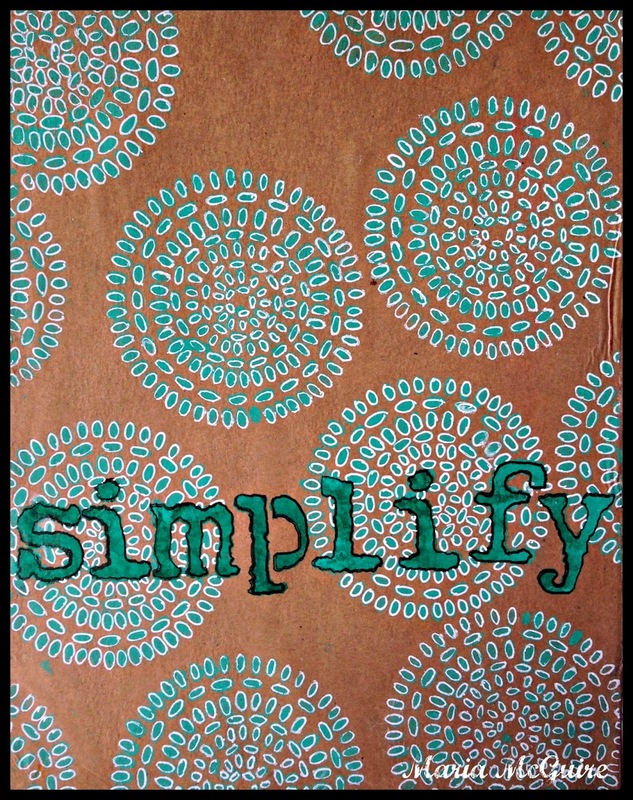 To remind myself I made this art journal page with my new Seeds stencil from StencilGirl products. I love how simple, or if you want, complex you can made this stencil look. Here I took the simple route. 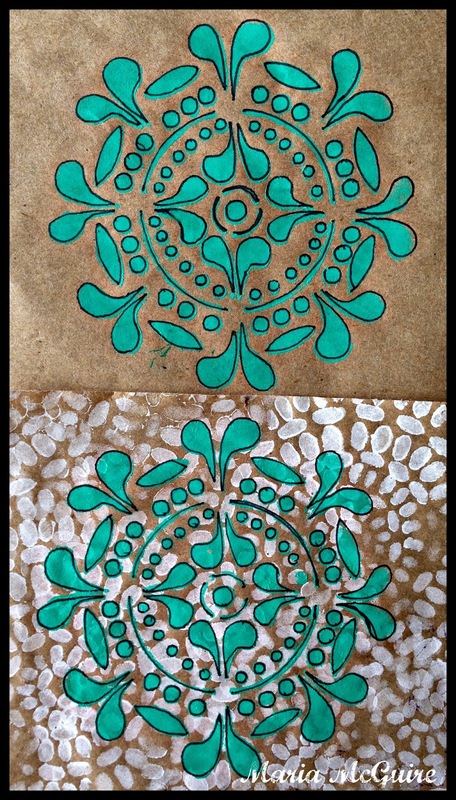 I glued a thin brown craft paper into my art journal with gel medium and then used teal acrylic paint through the stencil. 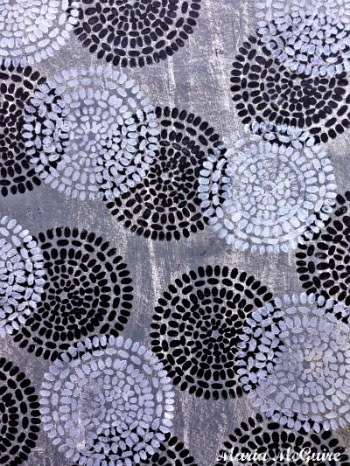 After it was dry, I used a white gel pen to trace the stencil over the paint. 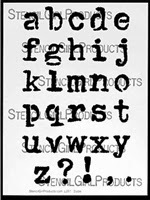 The word SIMPLIFY was "built" with Carolyn Dube's new stencil called Vintage Typewriter Alphabet. A VERY simple page...maybe I'm on the road to SIMPLIFY!!! We can only hope! Here are two other examples where I used Seeds. The first one also uses my new Tiny Medallion stencil. 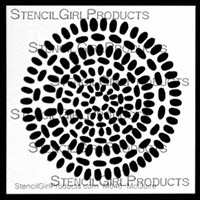 Just got these three stencils in the mail yesterday, so your inspiration is PERFECT TIMING! Beautiful Maria! Simple and lovely! So pretty, and what a key word. 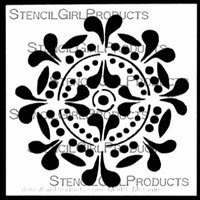 Love your new medallion stencil! 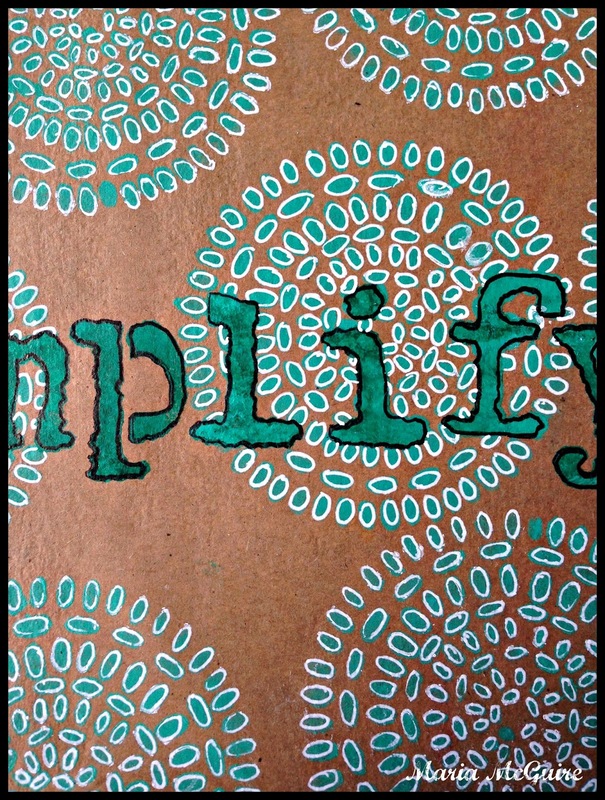 Simplify...theme is great! Stencil work is inspiring...And thanks for sharing.